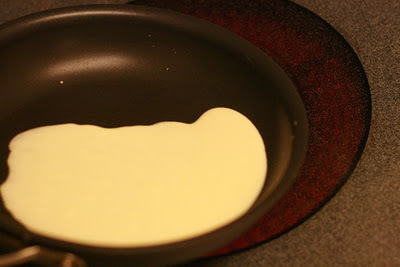 The family crepe pan. Sam's already called dibs! 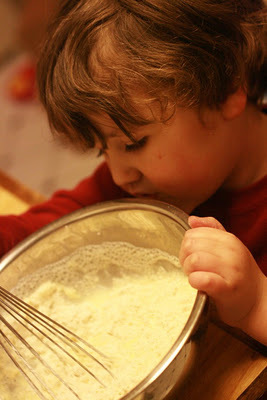 Since Mikko wouldn't stand for having crepes only on the most special of occasions, Sam had to learn how to manage his mother's recipe at our home. First of all, he has had to make do with a regular pan, since a couple crepe makers he found at thrift shops weren't temperature-adjustable. The good news there is that he now knows how to make crepes without any sort of special equipment. 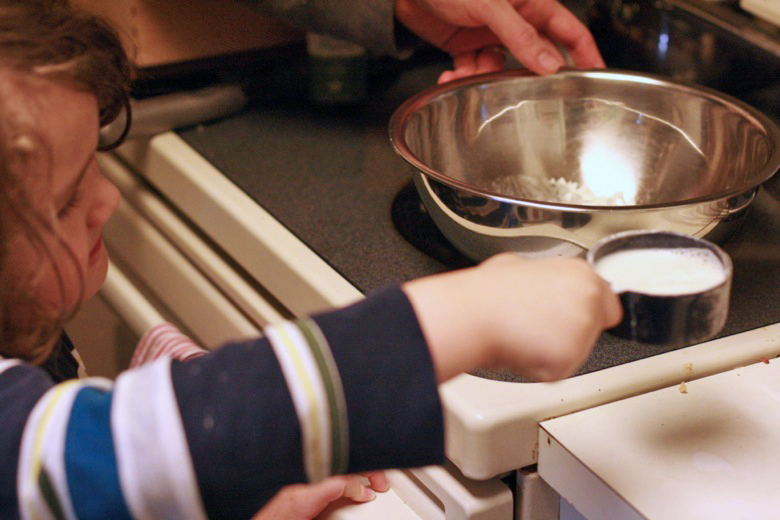 He also inadvertently discovered that he needed to adjust for using whole milk instead of his mom's usual skim and so altered the family recipe slightly. 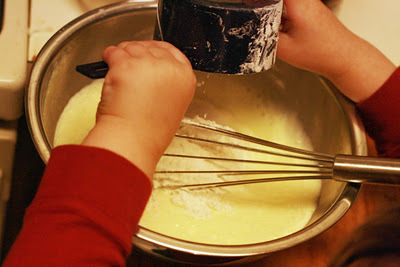 The other fun aspect of family crepes is that Mikko has been learning alongside Sam and now can help mix and even cook them! Be warned that this is not a "healthy" recipe, just a fun one. You might want to save it for special occasions — and savor it when you do! Here's the recipe as written by the ever-inspiring Crackerdog Sam. Do you recognize that little hand? That's Mikko last year. And here's the budding chef this year. 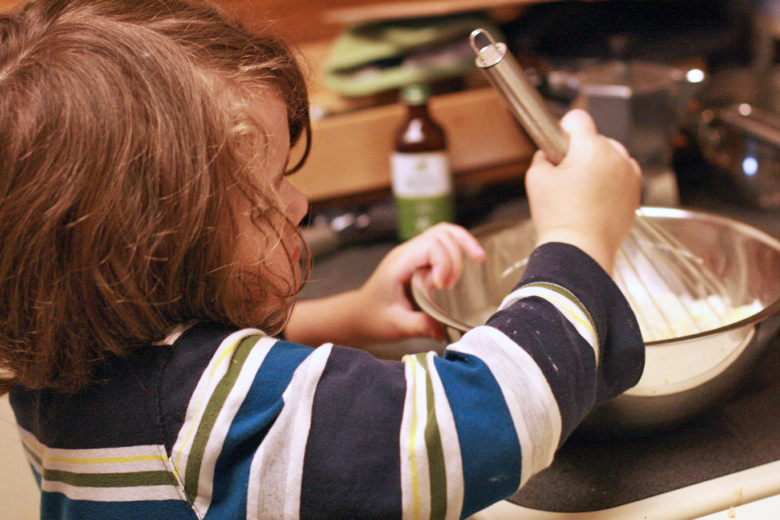 It can be so rewarding to get your kids involved in the kitchen! Here Mikko pours and cooks his very first crepe. 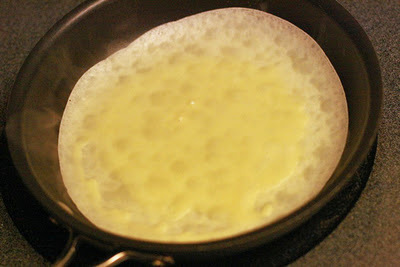 4) Once the edges are crispy (1-2 minutes), flip crepe over and cook another 30 seconds or so. 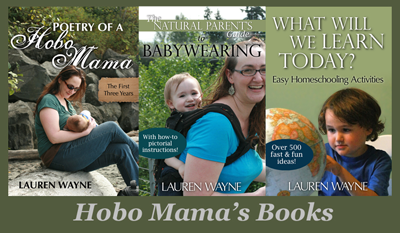 Here are just a few ideas for fillings that we enjoy. 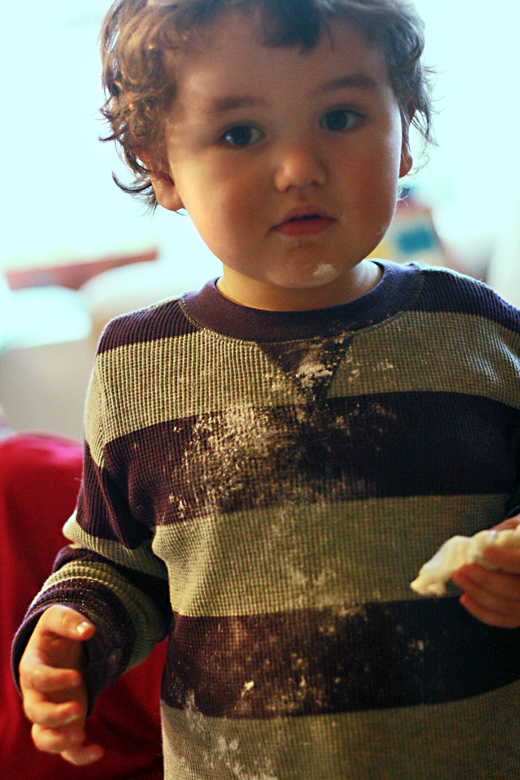 Mikko's favorite is just powdered sugar in the middle and rolled up. 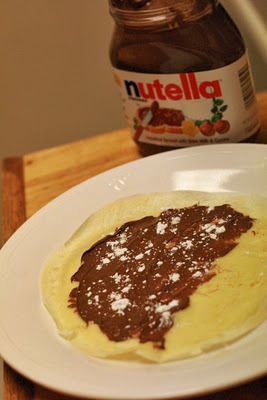 Lauren's favorite dessert crepe is Nutella spread inside with powdered sugar. My family decided that Nutella combined with fresh fruit, like strawberries or blueberries, was a new top choice. 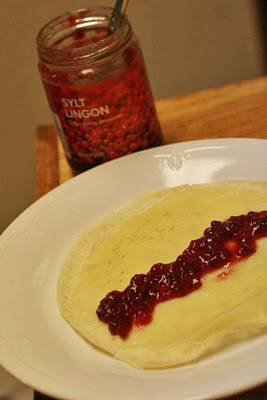 Our family favorite growing up was lingonberry preserves (once a rarity we had to stock up on on our biannual trip to Maine, now available at IKEA and our local supermarket). Bananas with maple syrup. 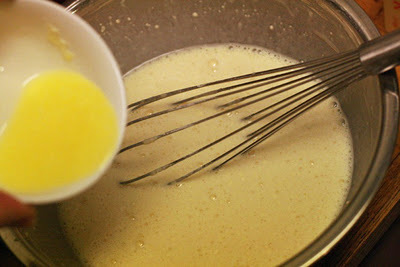 Most fruits and most syrups will work in some combination. Butter with cinnamon sugar is a sweet and spicy combination. I sometimes like them folded into triangles with crumbled bacon inside. I like the soft/crispy contrast. On the dinner side of things, asparagus cooked in béarnaise sauce is simple and delicious. One year I made Thanksgiving dinner wrapped in crepes — turkey and rice casserole with added green beans, mushrooms, and crispy onions, topped with cranberry sauce. Mushrooms with cheese is also quite easy and gourmet. Avocado, tomato, chicken, and pesto makes a nice treat. 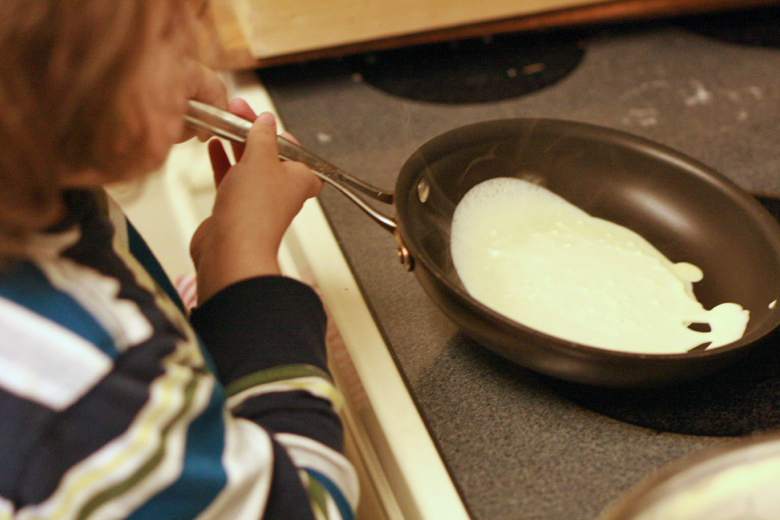 Use your imagination and run wild — crepes pair with so much! 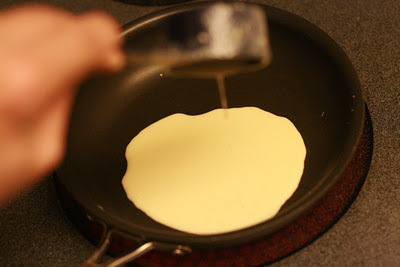 Crepes are so amazing. We make them for dinner sometimes - starting with savory (spinach and mushrooms) and then adding a little sugar for dessert (with homemade apricot jam). 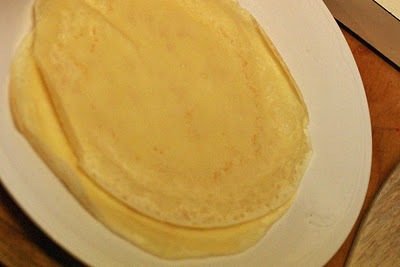 Crepes are a special meal for my family too. 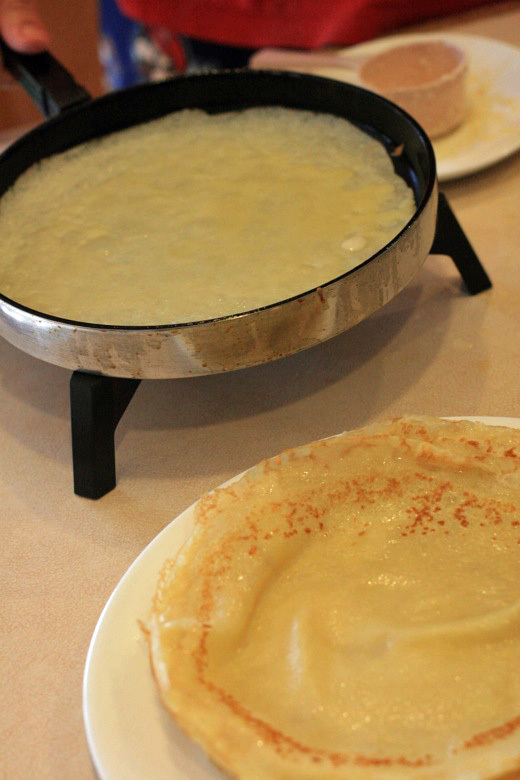 It was my dad's weekly tradition of making crepes on Sundays. After he passed, it was one of my favorite ways to honor his memory. 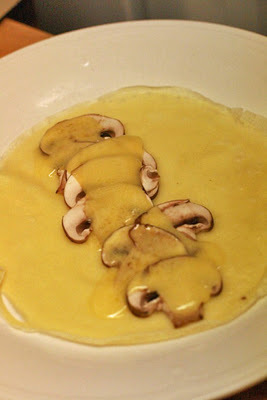 I haven't had savory crepes before - I'll have to use some of your examples next time! 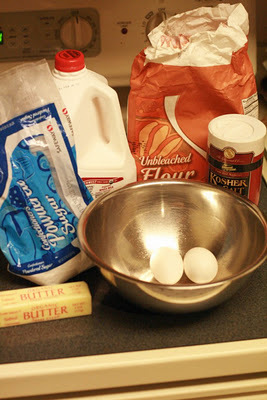 We usually use nutella, jam, or sweet cream cheese (cream cheese, a little bit of milk and rehydrated raisins) as filling. Thanks for sharing this great recipe and story! 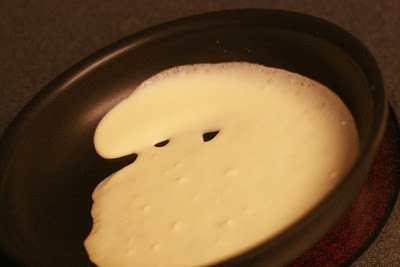 I can't believe you just up and make crepes! So fancy. 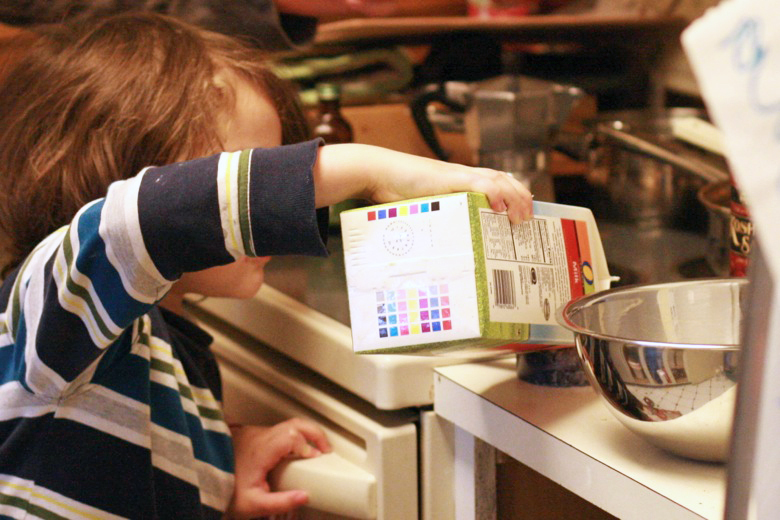 I love the pictures of Mikko helping and that last one! They all look too delicious and if I learned how to do that we would be sunk. sooooo tempting though. and Yum. 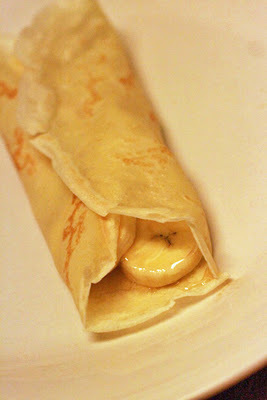 Oh how I miss crepes! And your creations looks incredible! 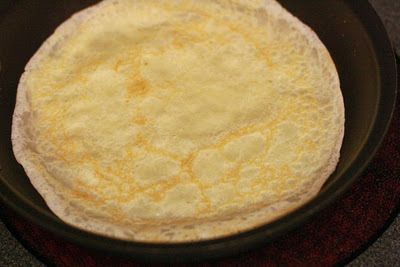 I have a coconut flour crepe recipe I have been meaning to try. I think that your fillings will give me the push I need to try it out! Oohhh!!! I have asparagus and I have Hollandaise sauce here! 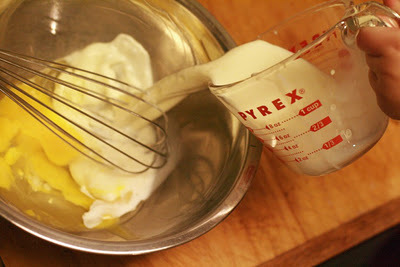 I know what I'm making for breakfast! I can't tell you how much I appreciate the step-by-step tutorial on how to do this. 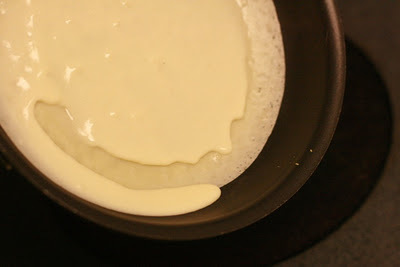 Every time I think I can make crepes...I can't. 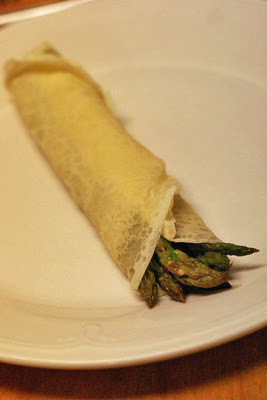 Asparagus season starts in just a few weeks, and this is HAPPENING. Yum!!! Oh yum. The Nutella option sounds amazing. 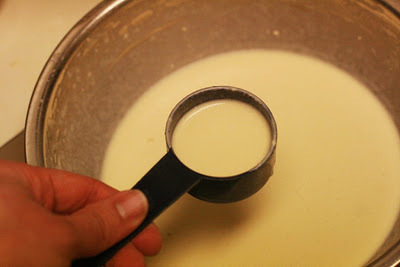 I wonder (as always) if I can do this with coconut or almond milk... It is worth a try! !